Angie Thomas’s debut novel, The Hate U Give, was an absolute knockout – a bestselling, award-winning novel from 2017 that eloquently portrayed racism in America and gave a young adult voice to the Black Lives Matter movement. 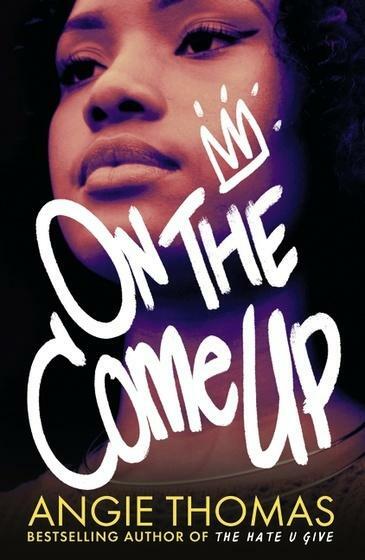 On the Come Up traverses similar territory – racism, structural inequality and poverty – but this time through the voice of an aspiring rapper, Brianna. She’s sixteen and not interested in studying for school exams. Instead, she’s eager to follow in the footsteps of her rapper dad, who was famous for his music but died a victim of gang warfare. Bri is full of talent and passion, but life is giving her numerous challenges, both at home and at school. This engaging story provides an education in the language of the street and what it feels like when there’s no food in the cupboard and the electricity is shut off because your mum can’t afford to pay the bills. A cast of brilliantly drawn secondary characters makes the world feel authentic, including Bri’s Aunt Pooh, who helps out the family but makes her money selling drugs, and Bri’s complicated relationships with her best friends, for one of whom she has romantic feelings. Angie Thomas is one of the most important new voices writing in contemporary YA. She asks you to check your privilege and engage with what it feels like to be confronted by daily racism. In a gripping story with characters you can utterly empathise with, On the Come Up is, quite simply, a must-read. For ages 13+.